When someone you care about dies, it is one of life’s most painful events….perhaps even the MOST painful event you might experience. Our reaction to death is many faceted and extremely difficult to discuss. In many circumstances, those engulfed in grief are left alone to cope with their pain...especially after the initial couple of weeks have passed. Grieving takes time. Losing someone who is important to you is a life-altering event. As time passes, you may cycle through the various stages of grief. You might also experience some or even ALL of the physical symptoms as well. You might visit some of the stages of grief more than once, and you might think you are okay, and a song or a photograph triggers a memory that ushers in a fresh wave of sorrow. It is a process….a process that isn’t completed overnight. When you allow yourself to experience these thoughts and feelings, and accept them as a part of that loss, you are moving forward - forward toward healing and accepting a ‘new’ normal in your life. When you experience a major loss, it can be devastating. It’s hard, it hurts and it can be incredibly difficult to just get out bed in the morning and face the day. It can be overwhelming and you can easily become bogged down in those feelings. If you find that you are having a hard time dealing with the basic functions in your life or having a hard time reconnecting with your friends after a few months have passed, you might want to consider seeking professional help. Depression can be debilitating. If you continue to experience physical symptoms of grief, months after loss, it may be time to seek the assistance of a physician. Feeling numb, especially early in your grief, can be useful. That numbness, feeling dazed, allows you some time for your emotions to catch up with your mind. It gives you some insulations from the harsh reality life has just thrown at you. 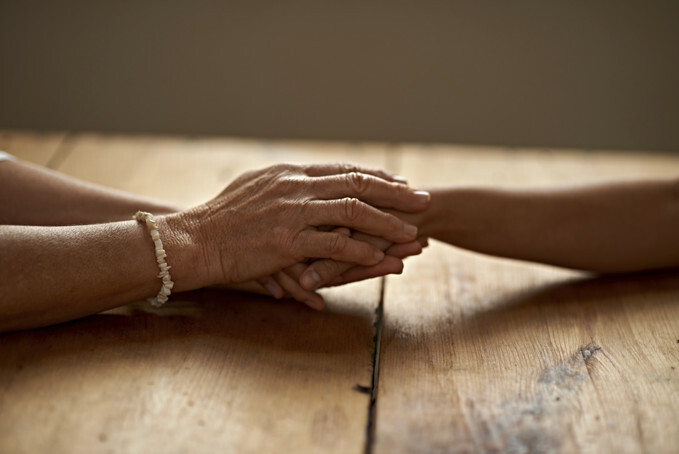 When you are an independent person, it can be hard to reach out for help….and even harder to accept it when it’s offered….especially when you are dealing with pain and grief. However, sometimes the best gift you can give yourself is a circle of supportive, caring friends and relatives. These people can and will provide for you in every way you need. These people are your encouragers and supporters. They might provide meals, or a shoulder to cry on. They might wash your dishes or they can provide a listening ear over coffee. These people are the ones who can and will walk with you through your grief process, acknowledging your feelings and supporting you through it all.